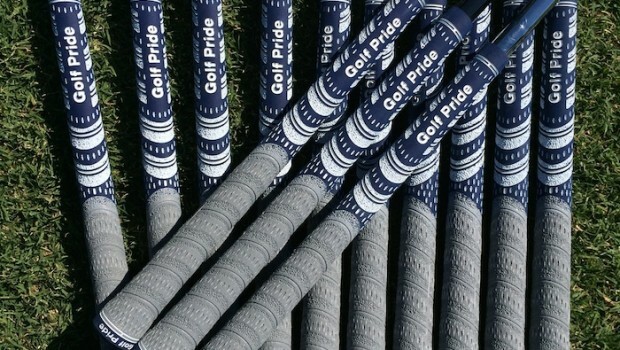 Your grips are a vital part of your golf game. They are your only contact with the club, so when they lose their feel and tackiness it can cause a host of swing problems. In fact, a recent national survey showed that 66% of golfers who had their clubs Re-Gripped showed an average drop of 3.5 shots per round. A huge choice of grips for Irons, Woods and Putters. Prices from as little as £5 per club. Maximum 48-Hour turnaround (but you can usually pick them up the same day). Golf Pride, Lamkin, Winn, Black Widow and 2Thumb. FREE expert fitting and club head cleaning service with every grip purchased. TREAT YOUR CLUBS TO SOME NEW GRIPS AND WATCH YOUR SCORES IMPROVE INSTANTLY!